On 24 and 25 January, VITO was invited by the Research Office of the State Council of PRC, and the State Administration of Foreign Experts Affairs of PRC to participate to the Foreign Experts Consultation Symposium of China. 11 experts worldwide were invited for this particular high level consultation event with State council on 24 January. VITO Managing Director Dirk Fransaer represented Belgium. Other experts were e.g. Mr. Paul Romer 2018 Noble Price winner of Economics, Konstantin Noveselov, 2010 Noble price winner of Physics, Mr. Klaus Topfer, the former German Environmental Minister… . 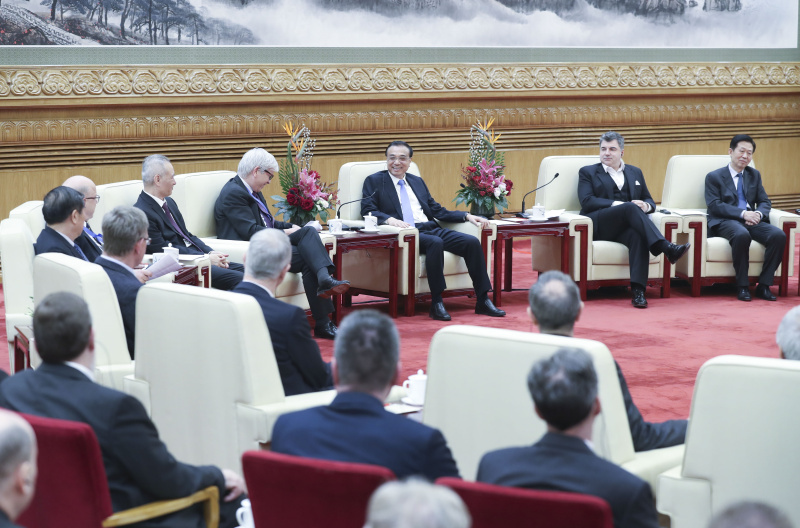 All the experts were also welcomed by Chinese premier Li Keqiang on 25/01 in the Great Hall of People (see photo). The Foreign Experts have provided remarks and suggestions to the Chinese government in the aspects of economy, social development, sustainability development, environmental protection etc. These remarks and suggestions are recorded by the State Council and will be reported to the premier, and some of the suggestions will be integrated and implemented as the guidance of the China next 5-year plan development policy.